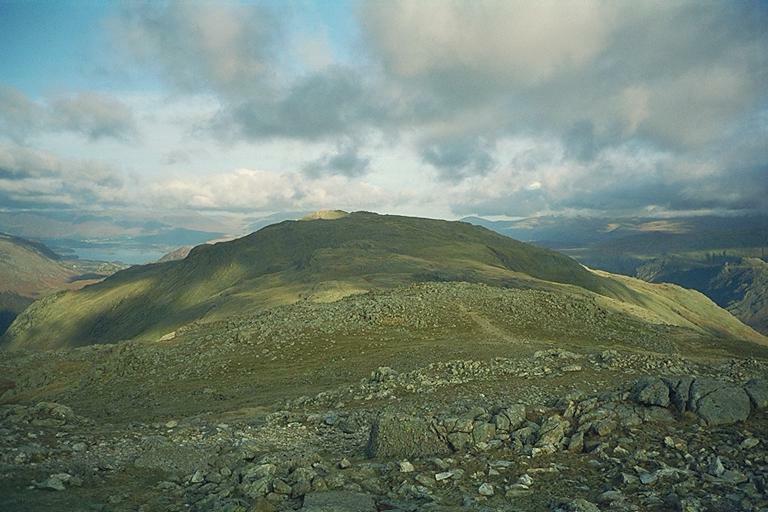 Glaramara has three summits close together. From Allen Crags the third highest summit is on the left, the second on the right and the main summit between. Smaller version of this picture.